Datamatics Recruitment Drive For Freshers in Mumbai | Walkin On 20th June 2017. 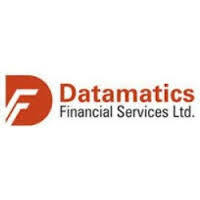 Datamatics is conducting Recruitments in Mumbai for the role of Purchase Executive. Candidates who had completed graduation can attend for the latest vacancies in Mumbai on walkin date. Datamatics Job Openings for Male Fresher candidates for Back office jobs. Contenders must have good communication skills and Advanced Excel knowledge on V-lookup, H-lookup, Pivot table, formulas are preferred first. Job aspirants who will perform well in the written test those candidates will be eligible to attend for Face to Face Interview. Then the officials of the Datamatics Company will appoint the selected contenders for Purchase Executive position. Datamatics specified that Female candidates are not eligible for this profile. Qualified and job need people will not miss out this opportunity. Readers can check the entire information and attend at the venue directly. Before attending the drive people need to check the Datamatics Interview Questions and Datamatics Online Test Papers. We hope those papers will help the candidates during their preparation. To know more updates about Freshers Jobs or other IT Jobs keep on checking our site www.allindiajobs.in for current information. We are currently looking for male freshers for back office profile at Prabhadevi location (client side). The job would be on the payroll of Datamatics with full-time employment. Advanced Excel knowledge (V-lookup, H-lookup, Pivot table, formulas). Understanding the requirement sent across by various teams in the company. Researching on vendors for the raised requirement. Negotiating with vendors on contracts and payments. Renewing contracts with existing vendors. Keeping a track of orders. Note: Female candidates kindly do not apply for this profile. Datamatics Global Services Ltd. is one of the leading Non-voice BPO company in the U.K, U.S, and Germany. Datamatics headquarters in Mumbai. DGSL offers a host of business services such as Finance & Accounting Services, Content Management, Document Processing, Market Research and Consulting Practices to international clients. It spread across the world, including four of the ten Fortune 500 companies. The company is focused on delivering value through integrated solutions for data intensive business processes. That helps to enterprises across the world overcome their business challenges. Interested job aspirants can attend for the Datamatics Walkin Recruitment 2017 which is going to be held in Mumbai on 20th June 2017. Job need candidates can attend at the venue on given walkin date and it is better to be there on before 10 AM and also bring the mandatory documents which are provided in the below article.